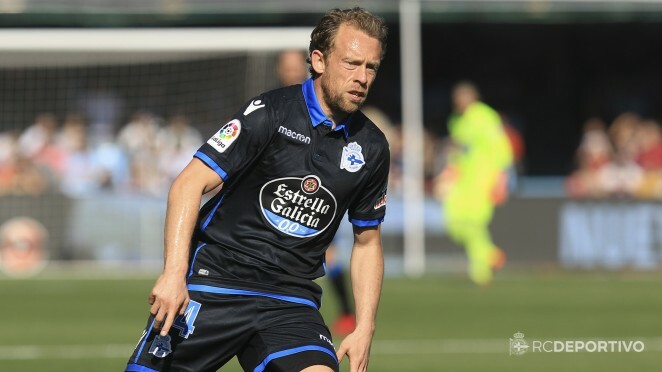 Deportivista Michael Krohn-Dehli has made it into Denmark’s first list for the 2018 Russia World Cup. Denmark's coach, Age Hareide, will publish the final list of 23 players on the 26th or 27th of May. Denmark will also play two friendlies on Monday 2 June against Sweden at the Friends Arena in Stockholm (7:45 pm), and on Monday 9 June against Mexico at the Brondby Stadium in Brondby, Denmark (8 pm). Fabril goalkeeper Francis, has been pre-selected by Nigeria for the 2018 Russia World Cup. Nigeria coach, Gernot Rohr, has picked 30 players of which he will finally choose 23. Nigeria will also play 3 friendlies: on Friday 25 May in Abuya against Democratic Republic of Congo, on Saturday 2 June against England in London, and on Wednesday 6 June in Austria against the Czech Republic. RC Deportivo have been officially informed by the Uruguayan Football Association that they are calling Fede Valverde for the 2018 Russia World Cup. The next few days, the Uruguayan officials will let Dépor know the Deportivista midfielder’s travel itinerary. Uruguay also have a confirmed friendly on 7 June at 8 pm (local time) at the Estadio Centenario in Montevideo against Uzbekistan. The Costa Rica Football Federation have confirmed that Celso Borges will be called for the 2018 Russia World Cup. RC Deportivo responded to Costa Rica’s request and allowed the Branquiazul midfielder to join his national team this week. Before the 3rd of June, the Ticos will say farewell to their fans with a friendly match against Northern Ireland in San Jose. Already in Europe, they will face England in Leeds (7 June) and Belgium in Brussels (11 June). Krohn-Dehli: "We have a very good group and there's a good atmosphere"